CDW can help you visualize your cybersecurity posture with comprehensive assessments that identify the biggest threats to your data. Data security is dependent on the latest defense techniques. CDW can objectively test for vulnerabilities in your security strategy, whether you want our white-hat hackers to assess your networks applications or you want to evaluate adherence to compliance standards. Why Undergo a Cybersecurity Assessment? Cybersecurity is a business imperative, and there are threats hiding everywhere. Having a third party test your defenses is necessary to understanding your security posture and protecting your data and brand reputation. Whether you are a large enterprise looking for a security checkup or a small business unsure of where to start, a security assessment can offer peace of mind and help patch gaps in your security posture that you didn’t even know existed. At CDW, we get cybersecurity. Our team of product experts and penetration testers have been performing comprehensive assessments since 1998 and have helped thousands of organizations better defend against cyberattacks. Fully managed by CDW experts and built on next-gen security technology from our partners, our nonintrusive CDW Threat Check passively monitors your network traffic to identify active viruses and malware, as well as risky user behavior, to help you build a business case for stronger cybersecurity policies. 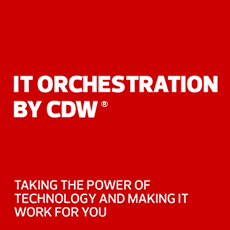 CDW’s security assessments go beyond simple malware and virus scans. We can dissect all aspects of your security posture, from your network framework to your everyday users, and make concrete, cost-effective recommendations for strengthening your defenses. Designed to help you keep pace with evolving threats, these assessments evaluate current IT systems to determine vulnerabilities that could be exploited. Our team can perform “ethical hacking” to identify vulnerabilities that cannot be found without significant manual analysis of poor passwords and chain-of-trust issues. CDW security engineers can review the configuration of various platforms and make recommendations to help you bring your systems into line with the latest best practices. CDW security engineers can attempt to break into your off-the-shelf or in-house applications and make recommendations for security improvements. We can create custom phishing scams, phone-based attacks and even physical intrusion to test your organization’s level of security. For a complete gap analysis, we will interview members of your organization and determine where to make improvements to your security fabric. We can identify compliance data security shortfalls to help resolve problems and help you meet regulatory requirements. We can help you with identity gaps in the security features of the apps your business uses all the time and create a centralized, simplified access policy. Is your organization ready to test its cybersecurity vulnerabilities?